Presenters at the IWF urban wood seminar include: Dwayne Sperber, left, Rick Siewert, Jennifer Alger, and Rich Christianson, moderator. 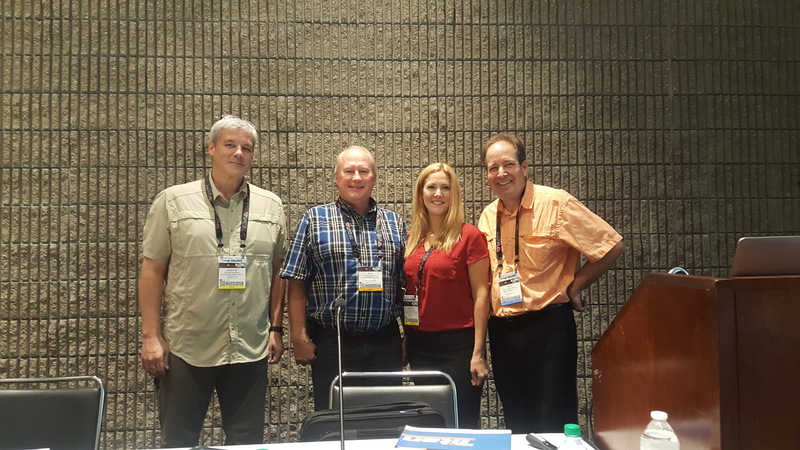 Three presenters – representing three very diverse business models – chorused their praise for urban wood during a unique seminar held Aug. 26 at the International Woodworking Fair in Atlanta. The free 90-minute session attracted 70 woodworkers, foresters, industry suppliers and others, all interested in learning more about the benefits and opportunities of converting felled community and landscape trees into lumber, slabs and wood products. Each of the featured presenters spoke with the sense of conviction that only comes from the heart when addressing the full-circle approach to repurposing trees from non-commercial forests felled by invasive insects, storms, developments and other end-of-life causes. Each in his or her own way also discussed the “greenness” of urban wood and the multiple benefits of being a better steward of the planet while also generating a revenue stream by putting urban wood to its highest valued use as opposed to chipping and sending these valuable trees to the landfill. >> Jennifer Alger, CEO of Far West Forest Products of Sheridan, CA. She talked about growing up in a sawmilling family business that not only focuses on repurposing felled redwoods, but local community trees as well. The company not only sells lumber and live slabs, but also value-added products such as turning blocks, table bases and sawmilling equipment. She presented several examples of urban wood that some urged to burn that wound up being made into table tops or wall art worth thousands of dollars. One of her main goals, Alger said, it to make urban wood a “household name” and “go-to product” for wood products consumers. >>> Rick Siewert, owner of Wood From The Hood, of Minneapolis, MN, discussed how his company, piggy-backed a business focused on using urban wood on the 30-man architectural cabinet shop established by his father in 1965. 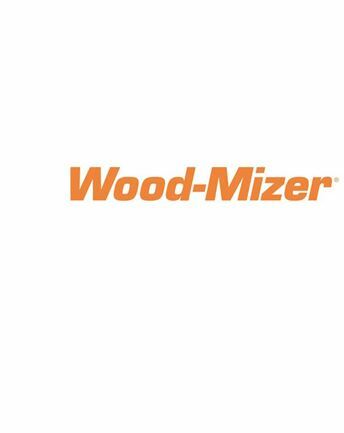 Since establishing Wood From The Hood eight years ago, Siewert has invested in a Wood-Mizer sawmill for milling lumber and a Lucas mill for slabs from logs recycled from the Twin Cities’ urban forest. Wood From The Hood’s products are sold through architects, retail outlets and online. They range from bottle openers and live edge cribbage boards through flooring and conference tables. >>> Dwayne Sperber, owner of Wudeward Urban Forest Products of Milwaukee, WI, also is an active member of Wisconsin Urban Wood and the Wisconsin Urban Forestry Council. He described Wisconsin’s model for developing urban wood networks as well as his own experience working with architects, interior designers, builders, homeowner and others to use urban wood in their projects. The session was moderated by Rich Christianson, a veteran woodworking journalist and communications director of the Illinois Wood Utilization Team, who was observing his 30th anniversary of attending IWF. Christianson noted that urban wood represents a greatly under-appreciated and under-utilized resource. He added that it is ripe for entrepreneurial custom woodworkers to take advantage of its source local appeal. The 2016 edition of the biennial IWF was attended by more than 16,000 professionals and featured more than 1,000 exhibitors. It was the largest the event has been since 2008. Learn more at iwfatlanta.com.